Where Can Roulette Computers Be Used TODAY? Do Roulette Computers Still Work TODAY? Can you still win with roulette computers, or do they only work in theory? Here are the real facts about modern roulette computers. You probably already know roulette computers can beat roulette, and have won fortunes. Basically they measure the speed of the ball and wheel to predict where the ball will fall. The concept is simple so it’s easy to see why it works. And you’ve probably heard of the Ritz team who won £1.3M in three days using a roulette computer. You can see a TV documentary about it at the roulette-computers.com home page, along with other videos that prove they work. You can even see a UK Government Lab test that proves they work. But Do Roulette Computers Still Work in Today’s Casinos? There are a few things to consider to answer this question. Below are the main points. a. LEGALITIES – Where Are They Legal? 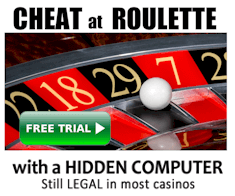 Most people assume roulette computers are illegal. But in fact they’re LEGAL in about half of casinos. This is because “illegal cheating” is usually defined as methods that INFLUENCE spin outcomes. Often the law says nothing about PREDICTING spin outcomes. Take the UK for example. The players got to keep their £1.3M winnings because they didn’t do anything illegal. The Ritz team is just one example, but there are others that weren’t such high profile cases. I’m not even counting the everyday cases that don’t make the news – the ones casinos don’t like to admit. You can do your own research about where they are legal. But as a requirement for joining my profit split teams to get a computer for $0 up-front, the player must send me written legal advice from a lawyer stating roulette computers are LEGAL to use in the target jurisdiction. This is done on the advice of my lawyer, for cases where the partner breaks laws and I’d need the written advice to demonstrate we didn’t believe laws were being broken. So I have lots of written advice from lawyers, and have good knowledge of where the computers are legal. And I know quite well that roulette computers are legal in approximately half of the casinos wordwide. Although we could use them illegally, it’s not worth the risk considering there are plenty of legal places to play. b. WHEEL DESIGN – Can Modern Wheels Be Beaten? I own several wheels and have thousands of video recorded spins from many different wheel designs. Many of the videos were sent to me by my players. I also get a lot of information from players of my system. So I’m very familiar with which wheels are common. And by far, the two wheels shown above are most common. You can do some research on these wheels and manufacturers to confirm the designs are current. So can they be beaten? Absolutely, yes. And easily. But not with all computers. 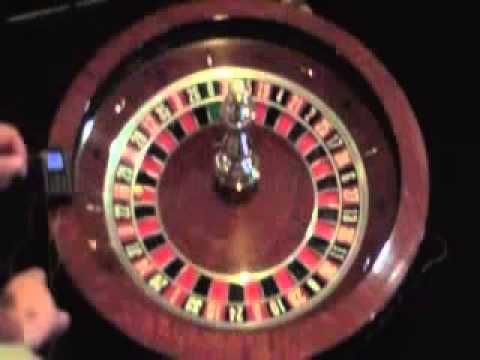 So what’s different between this wheel in a casino, and the same wheel in a conference room? . . . None, except we don’t need to wait before spinning the wheel again. So testing takes less time. 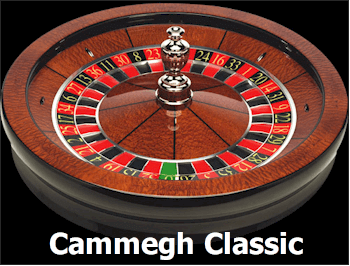 How about the Cammegh Classic wheel? Can it be beaten too? Yes, it’s not a lot different. The main difference is the ball bounce on the Cammegh is actually more predictable with the shallow pockets (although it depends on the dominant diamonds, the ball and rotor speed). The ball tends to travel further, but with more of a tumble forward than unpredictable bounce. Because of the more jagged edges, the Huxley Mk7’s pockets tend to fling the ball around more erratically. c. GETTING PREDICTIONS IN TIME – Is There Time To Bet? Contrary to what you may think, you normally only need to bet ONE number to profit. You don’t need to cover large sections, although it’s usually better to do so because you win more in less time. Betting the required ONE number takes a second. But before getting the prediction, you must get the timings of the wheel rotor and ball. Below is an explanation of how various computers take timings. Not all of the computers are mine, but I won’t specify which vendors have which computer. It is also important to understand the below part discusses only a fragment of what should be compared. For the comparison below, we’ll assume that the rotor speed is 3 seconds per revolution, that the ball rolls for 15 seconds, and that no more bets is called 10 seconds before the ball falls. So there is 5 seconds in which to take timings, get predictions and bet. Thumper (mine): This is a phone with vibration pulses. It’s as basic as it gets. You use them in combination with visual ballistics techniques. You can get predictions as early as you want. However, it is only accurate if you can bet 7 or less seconds before the ball falls. You can get predictions in time, but the simplistic algorithm will not beat many modern wheels. And you need a consistent rotor speed. Basic version (mine): A single player clicks as the ball completes revolution UNTIL it reaches a target speed. You can set to get predictions as early as you want. However, it is only accurate if you can bet 7 or less seconds before the ball falls. You may get predictions on some spins, but it will be impractical and time consuming. The simplistic algorithm will not beat many modern wheels. And you need a consistent rotor speed. Lite Version (mine): A single player clicks for the rotor to complete a full revolution (but you can start clocking from opposite sides of the wheel), then make 3-5 clicks for the ball. You can get a prediction when the ball is at any speed. The ball deceleration rate is accurately modeled to include even inconsistent deceleration rates, so early predictions are possible. But the clocking of the rotor slows the process. You would sometimes get predictions in time, but predictions would be too late on many spins. They would be more accurate than the Thumper and Basic versions, but still you would struggle to profit on most modern wheels because its algorithm is traditional and simplistic. Other Vendor 1: A single player clicks as the ball completes revolution UNTIL it reaches a target speed. You can set to get predictions as early as you want. But unless the rotor is almost precisely the same speed, and you have very sharp eyesight, you will only get accurate timings with 7 or less seconds before the ball falls. Even if you got predictions, the simplistic algorithm will not beat many modern wheels – unless the wheel has a very strong dominant diamond (ball hits same diamond very often). Other Vendor 2: A single player clicks for the rotor to complete a full or half revolution. But you must start clocking at the same point, so you waste time for the rotor to come back around. By then it may be too late. Also if you clock half a rotor revolution, you lose about 40% of possible accuracy at average rotor speeds. You have the option to clock the rotor at any point, but it is at best a theoretical approach that doesn’t work with real wheels. You could do the same with any of my computers, but similarly it isn’t feasible on almost every modern wheel. A proper approach requires the computer to know the relative orientation between the wheel base (bowl), the rotor, and the ball. After your rotor clicks, you make 2-5 clicks for the ball. The slower the ball, the fewer clicks you need. This works well on very easily beaten wheels, but poorly on modern wheels. For timings that are accurate enough for precision predictions, you need at least 5 clicks for the ball which takes additional time. And those clicks must be at a specific and often inconvenient ball speed. You can get predictions about 8-10 seconds after ball release. The earlier predictions wont be accurate enough. The later predictions (around 7 seconds before the ball falls) will only be accurate enough if the ball falls predictably. Basically you can get predictions in time with some settings, but they wont be accurate on modern wheels. All of the computers above use simplistic algorithm for modelling ball deceleration and bounce. The computers listed below are far more sophisticated and capable. Although on this page the comparisons are mostly limited to how early predictions can be obtained. a. Single player clocking with one button: Click for the rotor to complete a full OR half revolution (and you can start clocking from opposite sides of the wheel). Then make 2-6 clicks for the ball. You can either get predictions strictly after a set amount of ball clicks (no ball speed restriction), or just keep clicking until the ball reaches a target speed. You can get prediction in about 6 seconds after ball release, which is acceptable for easily beaten wheels. For wheels that are harder to beat, you need an extra 2 or so seconds. You will get predictions sometimes, and they will be accurate on modern wheels. b. Single player clocking with two buttons: The same as “single player clocking with one button” except the player has one button for the rotor, and another for the ball. So you don’t need to wait for the rotor to complete a revolution before clicking for the ball. This is especially useful as the player can get accurate predictions on modern wheels where the ball is released too slowly, or when there is normally not enough time to get timings and predictions before “no more bets”. You will get accurate timings and the maximum possible accuracy on almost every spin, with the main limitation to possibility being minimizing clocking errors. In other words if you are skilled at clocking timings, you can achieve exceptional results. If you have average skill, you will still do well, but there is still room for improvement. c. Two-player clocking with one or two buttons each: Two players can be taking timings of the rotor and ball at the same time. Or one player can clock the ball, and the other the wheel rotor – at the same time. Because two players are taking timings, the timing errors are HALVED, and accurate timings can be produced much earlier – in as little as 3 seconds after ball release. This is because half a rotor revolution can be clocked (without the timing errors), and just one ball revolution can be clocked with much greater accuracy than a single player. Hybrid Version: It tracks the green zero and ball position at any point it is visible. It doesn’t need to wait for the green zero to be at any specific point, and can get precise timings with just one pass of the ball. It can get a prediction in 1-3 seconds after ball release, with accuracy to 1ms. So it can get very accurate predictions on modern wheels very early in the spin. On an average wheel, it can get predictions 1.5 seconds after ball release, and 22 seconds before the ball falls. So on our example wheel for the comparisons, it easily gets accurate predictions in time to bet. There are other vast differences that make it what it is. But Aren’t Casino Staff Aware of Roulette Computers Now? 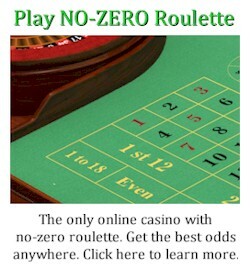 Because of high profile wins like those of the Ritz team, casino staff and more aware of the existence of roulette computers. This doesn’t mean if you get caught using a computer you’ll be hauled out back and bashed by security guards. 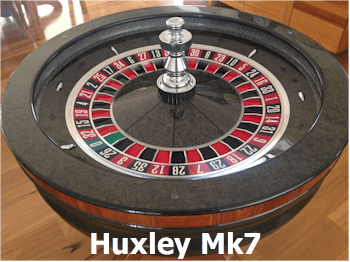 So what really happens if you are suspected of using a roulette computer? The reality is the pitt boss will instruct the dealer to call “no more bets” earlier until you either lose or leave. That’s all. No bashing. No police. Because that’s all the casino staff need to do. Then normal casino procedures resume when you leave. What Can Roulette Computer Players Earn? Accuracy is not the real problem with computers. It’s avoiding detection. You could win $100,000 in a night with larger bets, but you would be very closely watched. To win this amount without them taking prompt action against you, you’d need to win quickly with fewer but larger bets. This way your wins look more like luck. But more realistically a computer player will take no more than $10,000 in a night to avoid detection. How much you can win and still avoid detection depends on the casino. Ideally you will swap between different casinos to maximize profits. There’s a lot to avoiding detection. And it’s not difficult to do, but this information is only released to my players. What Gets Computer Players Caught? Players don’t so much get “caught”. They get “detected”. That’s because casino staff don’t do much about computer players other than call “no more bets” earlier. Again that’s all they need to do in most cases. Some computers use open Bluetooth networks that basic casino scanners detect. They are no different to radio beacons that alert casino surveillance staff. But what most gets players detected is consistent behavior and winnings with late bets. Imagine a player constantly glaring at a wheel, then suddenly betting sectors and neighbors late in the spin. To trained casino staff, it’s a dead giveaway. And the casino staff can easily review recorded footage for more clues. But it’s also very easy for a professional computer player to avoid detection (especially multi-player teams), if they know what they’re doing. Without giving away too much detail, basically all a lone conputer player needs to do is tune the computer until maximum accuracy is achieved. Until this point, they bet and act like a regular player. Then they start betting on the computer’s predictions. Those last bets are significantly larger than the other deliberately losing bets they have made. After all you must bet something to stay at the table. And after a few big wins, you leave. To the casino, it looks like nothing more than a few lucky wins. To see an example of a betting period (after the computer is tuned), see the video below. Because it’s a public demonstration, I continue playing longer than I normally would in a real casino. After all, the more proof the better – the purpose of my public demos is to make truth very clear. You can see how quickly profits are made. Why Don’t Casinos Forbid Late Bets? Just some simple math here. The vast majority of players lose money to the casino. The more “betting time” a roulette table has, the more money the casino will earn. So to speed up the game and increase revenue, most casinos allow “no more bets” to be called after the ball is released. Plus many players like making late bets, even if their bets have nothing to do with the ball and wheel rotor speed. So the casino profits more by allowing late bets. Now of course this makes it easier for roulette computer players to profit. But keep in mind out of 10,000 roulette players, there will be perhaps 1 roulette computer player. So why on Earth would the casino forbid late bets and dramatically reduce their revenue, all in fear of the one roulette computer player that wins a few thousand dollars? Simply roulette computer players are an accepted threat, but rare. And IF any player appears to be consistently winning with late bets, the dealer simply calls “no more bets” earlier until the player loses or leaves. Then normal late betting can resume. Problem solved for the casinos. The player’s photo may be added to a database for future reference, although automated facial recognition technology is incredibly unreliable for now. Especially after developing the Hybrid roulette computer (uses a camera and image recognition to predict the winning number), I’m well aware of the technology casinos use to track players. And it’s not feasible unless your face is manually checked against a database. And to be manually checked, you would need to be suspected of being a professional player on each occasion. Even then, something simple like facial hair or lighting is enough to cause thousands of false matches. What About The Latest Wheels Like the Cammegh Slingshot & Mercury 360 RRS? I’ve spoken with numerous representatives of the wheel manufacturers, and one of their chief designers. Unfortunately I made a promise not to disclose parts of our discussions, but clearly they knew a well-designed roulette computer can accurately predict spins. In fact the Cammegh Slingshot and Mercury 360 RSS wheels are specifically designed to counteract the threat of roulette computers. What is the Slingshot and 360 RRS? Basically they are wheels and mechanisms that change the wheel rotor’s speed AFTER no more bets is called. The idea behind this is if your roulette computer takes timings and predicts one number, the randomized rotor speed after this point supposedly ensure the outcome will be different. There are a few wheel manufacturers using similar technology, but Cammegh appears to have been the first to implement it. Does it make winning harder? Sometimes yes, sometimes not at all. Does it make roulette computers completely ineffective? No. The best “random rotor speed” technology I’ve seen is used with the Slingshot wheel by Cammegh. The Hybrid Roulette computer has a feature than enables me to watch the predicted position of green zero at any time, compared to the actual position. It can be observed in real-time. So when “no more bets” is called, I can see the shift in rotor speed. This enabled me to reverse engineer the algorithms used by the Slingshot wheel, and ultimately maximize prediction accuracy. While I must keep some parts secret, I can say the rotor speed and final outcome is never fully randomized. At best, it does reduce a roulette computer’s edge. But it does not entirely eliminate it. In the worst-case scenario, where “no more bets” is called 25+ seconds before the ball falls, none of my roulette computers can beat these wheels. These are less than 0.5% of the wheels in the world today. The average Slingshot calls “no more bets” about 18-20 seconds before the ball falls. My Uber roulette computer versions beat most (but not all) of these wheels, with an edge between 5-18%. The Hybrid can achieve edges above 20%. Many slingshots are quite easy to beat, likely because the operator (casino staff) haven’t properly configured the wheel. On such wheels, an edge of 40% or more is easily achieved with either the Hybrid or Uber. But the Lite, Basic and other versions will achieve either very little or no edge. But the above statistics are regarding the wheels that are hardest to beat in the world. They have been around for about a decade, and are still very rare. So How Many Wheels Can Roulette Computers Beat Today? Good predictable ball bounce: predictable ball bounce makes winning very easy. Much the same ball bounce with different rotor speeds: On modern wheels, the ball bounce is significantly different at either faster or slower rotor speeds. If the bounce is much the same at all rotor speeds, the wheel is easier to beat. Strong dominant diamonds: If the ball almost always hits 1 or 2 particular diamonds, the wheel is very easy to beat. Little to no ball deceleration rate changes: Almost every roulette computer incorrectly assumes the ball’s deceleration rate will remain the same. But the reality is it’s always changing because of variables like air pressure and humidity. Very late betting allowed: All computers except the Hybrid rely on the player clicking a hidden button as the ball and green zero come around. This takes the timings of revolutions. If you have ample time to make clicks, then you can click for many revolutions and reduce timing errors to almost nothing. But then you won’t have enough time to bet. 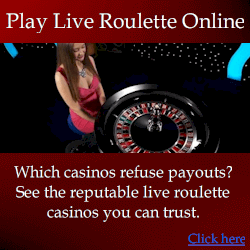 There are many other factors to consider with roulette computers. And there are immense differences between them. That’s why my basic version is free to my players, and the Hybrid version is US$80,000. Why Are Your Computers So Expensive? You get what you pay for. That’s computers that get predictions in time to bet even when dealers call “no more bets” early. And the early predictions are ACCURATE enough to beat the vast majority of modern wheels. Plus they use appropriate technology to ensure they aren’t detected. The differences are a computer that can earn enough to buy a house, and one that sits on a shelf doing nothing. If you visit me for a demonstration, I’ll show you each of my roulette computer versions. This includes the basic version I give free to my players, and the $80,000 Hybrid version. I’ll also show you computers from other vendors so you know fact from fiction. Bring your own wheels to demonstrations, or hire one from a local supplier: we welcome the opportunity to test on any wheel. See a demo on a 2016 model John Huxley wheel (often called a “Saturn” wheel), with a bouncy ivorine ball:This one of the most common wheels in the World. It has an 8/10 difficulty rating, and we can dismantle it for you to inspect and ensure it hasn’t been modified. See a demonstration at ONLINE casinos: You can also see a demo with an online casinos, although keep in mind most online casinos don’t allow bets after ball release. You can still see early and accurate predictions, so you know that the computers beat wheels I don’t own. NOTE: If you want to see a LIVE demo on an online casino wheel, you must visit me in person. This is because typical internet connections are not fast enough to stream live video to you, while simultaneously downloading quality video from the online casino. Demos with live online casinos take significantly longer because of the delay between spins. If this is what you want, I only ask to be compensated for the extra time the demonstration takes. After all, you want to see enough spins for proof to be clear, but I don’t want to waste time. You can still see “live” spins via webcam (without visiting me) on the 2015 John Huxley wheel, OR physically send a wheel of your choice to me. Another option is you can record video of a wheel from an online casino for testing. Bring other devices to compare: You are welcome to bring other devices to compare accuracy. We have many from other developers, most of which were given to use free by our players. We can bring these upon request. Again if you are serious about purchasing, there is no reasonable proof you wont see. You can see anything you want if it is practical and possible. What About People That Say Computers Are a Scam? Either believe what they say, or find out for yourself. A very common question is “if they work, why sell them?”. As explained on my site, I do use them myself. I have teams of partners who pay me part of their winnings. But currently only with the Hybrid version, because it allows me to easily track usage and know if the partner is not disclosing winnings. For the computers I do sell, they are sold at a fair price. So they’re worthwhile for me to sell, especially considering there are far more suitable casinos than my teams will ever get to play in. And besides, I reserve the best technology for myself. The truth is actually quite simple. Wheels are harder to beat than they were 20 years ago. But they’ve been much the same for the past 10 years, and fortunes can and are still being won by players using the right technology the right way. For some computers, beating average modern wheels is very difficult. For my advanced computers, beating average wheels is very easy. Speaking for my computers only, some settings are very easy to learn and use, and you can beat the average modern wheel with an hour of learning and practice. But wheels that are harder to beat (the top 15% in difficulty) require the more advanced settings, and your knowledge to use them properly. The easiest solution with my computers is just stick to the average wheels and beat them easily, instead of spending time on difficult wheels. Likely my roulette computers will still be effective for 10 or so years to come. Of course I expect future wheels will be harder to beat, and gradually there will be fewer opportunities for roulette computer players. Perhaps in 20 or so years, beating roulette with computers will be just history. That’s the future. Nothing lasts forever but there is still ample time to exploit roulette. There aren’t many investments capable of 1,000% returns in a day, but you need the right mindset and reasonable intelligence to succeed. They are not for everyone.